Just released: My video interview at the CAPS 2015 conference in Brussels, July 2015. I was in Brussels working with our partners at Purpose and giving a workshop on “Building Networks for Good,” which included case studies of our work with Awesome Foundation​, Foossa, Wisdom Hackers​, UX for Good​, and more! Earlier this month, I had the privilege of presenting a workshop on Building Networks for Good at the CAPS2015 Conference in Brussels, Belgium. The slide on the screen features the work of Sextant.Works, an Awesome Foundation grantee. What happens when people come together to take collective action without needing traditional organisational and institutional structures? What tools and strategies do we need for these “Networks for Good” to thrive? 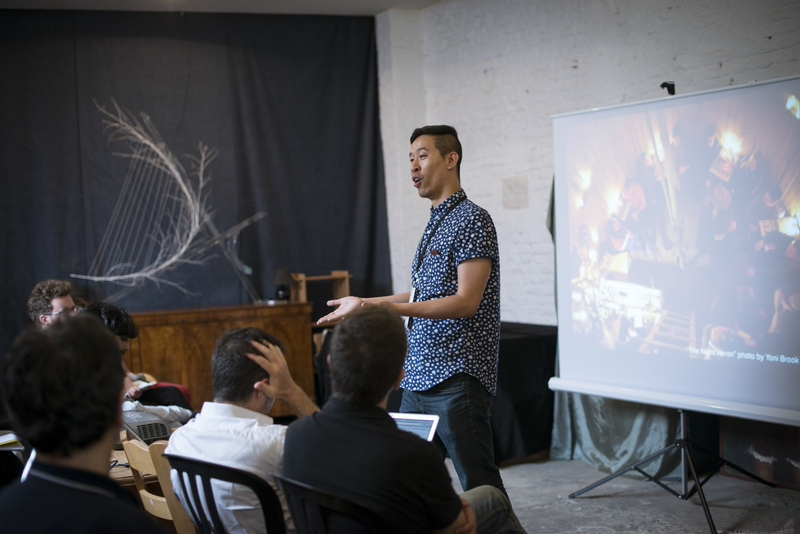 In this workshop, designer, storyteller, and community-builder Lee-Sean Huang (Purpose) will explore these questions by drawing from his own experiences building international networks like UX for Good, The Awesome Foundation, and Wisdom Hackers. Did you know that Einstein’s insights for the theory of relativity came to him in the form of kinesthetic sensations in his muscles? In a Wisdom Hackers ebook published this week, Foossa’s Lee-Sean Huang explores issues of embodied cognition and “the thinking body.” You can read a free excerpt of the ebook on Medium, and subscribe to the full series on The Pigeonhole. We also welcome you to join us in discussing these ideas on DebateHub. An oldie but goodie from my Purpose days. My presentation about Designing Movements at the Social Enterprise Bootcamp at NYU from 2012. SEBC – Lee Sean Huang, Purpose from Knight Foundation on Vimeo.